Did you buy a pickup with standard mirrors and as you've added toys like your boat, camper, & ATV trailer, that it gets a little hard to see what is going on behind you? With K Source OEM style towing mirrors you'll never have that problem again! 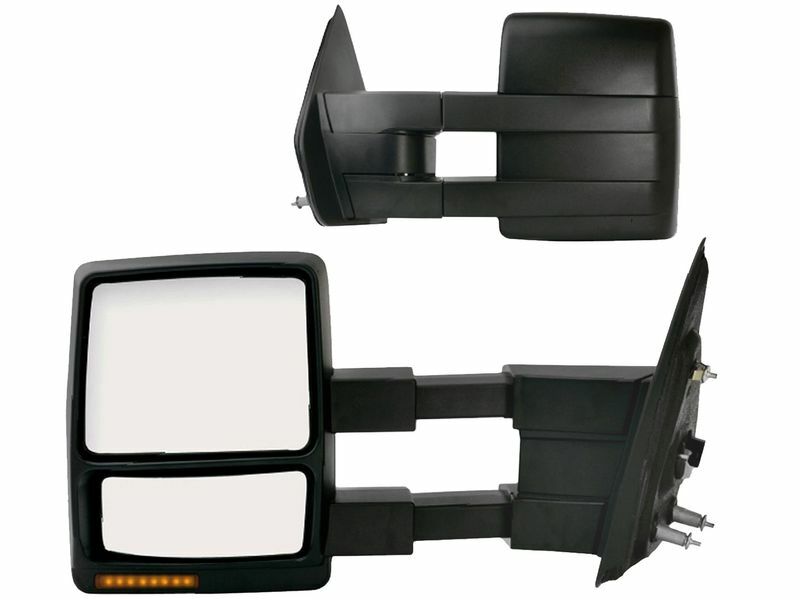 These tow mirrors are a great upgrade for your truck to make towing easier & safer. Not only will these mirrors work as upgrades, if you have factory tow mirrors and had a tree jump out and take one, you can get an individual mirror for a replacement. K Source designs & tests all of their Fit System towing mirrors to meet the same standards set for factory mirrors and they mount in the same location. This means that installation will be simple & easy. No drilling, cutting, or special tools will be needed. There's always something that needs towing, get yourself K Source OEM style towing mirrors and add safety & value to your truck! Each mirror is designed to mount & install just as a factory mirror would. This keeps the installation as simple & easy as possible. Some drilling might be required. Give us a call if you think of anything that we can help you with or if you just want to chat about trucks, we're here and willing to listen.